Masquerada: Songs and Shadows in an interesting game. On one hand, we have a title that could have made a beautiful point-and-click or even a visual novel. 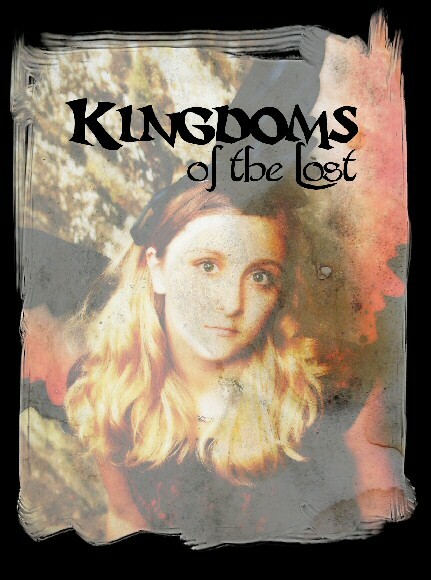 On the other, we have the amazing adventure RPG that sees an unlikely group follow through an investigation that leads ever further down the rabbit hole. I know what you’re probably thinking by this point. Unlikely group? Again? While the answer is “yes” it takes a different spin compared to the normal grouping of a ragtag bunch. Firstly, they are not ragtag. Your main character and protagonist Cicero is an exile called back in order to search for missing members of the society that he was cast out from. Tagging along and using one another are characters such as Kalden who’s looking for his brother that happens to be at the center of Cicero’s investigation and Tiziana who’s openly spying on Cicero for her master and prepared to do what is needed to further their ambitions. They are all playing politics and keeping their cards close to the chest while still trying to figure out how to work together to find out what is really going on. 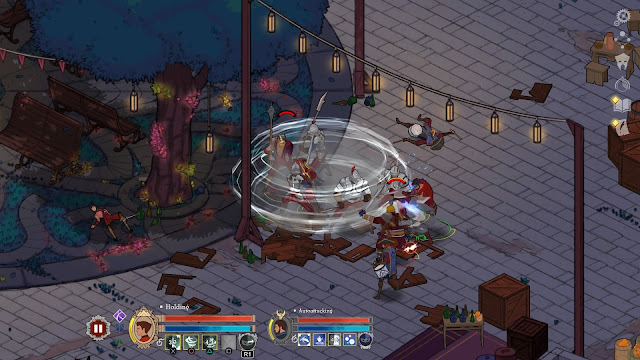 With the stage set and gameplay in hand, Masquerada uses a few elements that it probably could have done without. For the most part, Cicero will get to walk through shallow environments that have little or nothing to do other than move over to the spot that will take him and the party to the next location. Sometimes lore can be found lying about and if it’s in a crowded city then the conversations are worth listening to but otherwise it’s on a rail and you simply follow the points onto the next dialog and story segment. It’s not a bad approach by any means as a lot of titles follow suit, but sometimes I felt like it could have been done without especially with no combat present in order to get your fingers moving. With the amount of dialog that is present the characters could have walked and talked instead of standing still which could have still have showcased the beautiful environments and their soft colors without making you needless have to move through corridors or streets with nothing in them. When there are enemies and the swords are unsheathed from their scabbards however these environments are worth knowing. Masquerada uses a real-time system that has characters able to either auto-attack or have their skills set up to use in specific instances not unlike FFXII’s Gambit System. If that isn’t enough, direct control of a character can be taken can moving them behind that wall in order to evade an attack is sometimes much better than getting the hits in. Combat is fun and it doesn’t feel out of place especially since you already know that getting your hands dirty is going to happen because some people don’t want you finding out what you need to. As mentioned above each character has access to standard attacking or skills that can be used on cooldowns. The cooldowns themselves aren’t ridiculous but neither are the power of these skills making them useful to use but not the be all end alls. From that perspective there’s a good balance to the system and as time goes on it requires more hands on and less letting the characters do what they want if you want to survive. 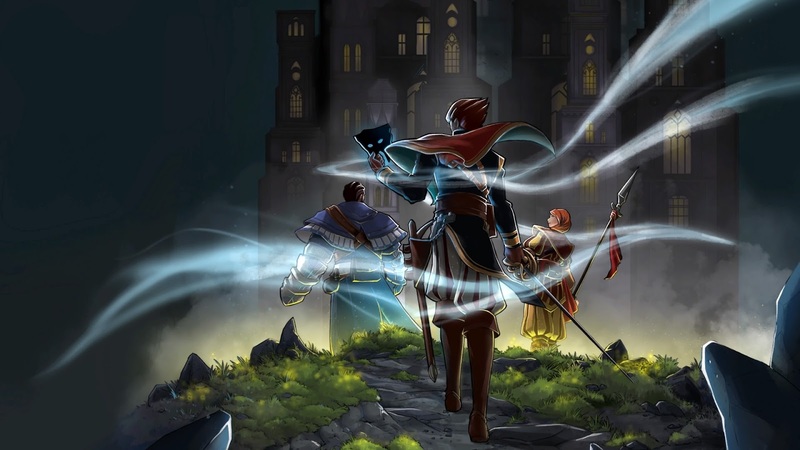 After each combat each party members receives points that can be used to either unlock new skills or upgrade existing ones. 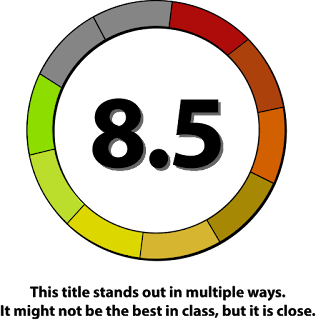 There’s no progression per say as you’re free to choose which skills you want and if you like them enough you can level them further. It was nice not to be locked in and forced to waste points on ones that you didn’t want. 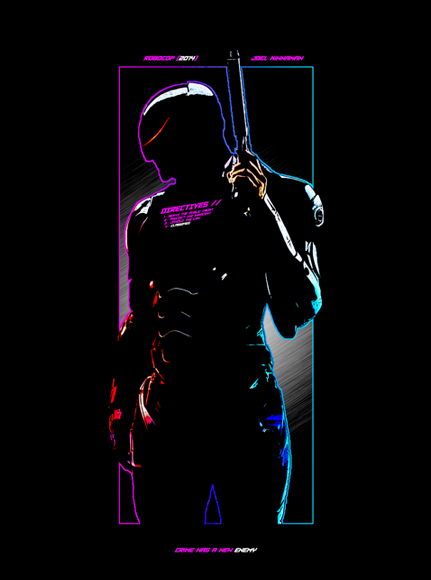 It adds a bit of flavour and a more personal touch to how you wish to fight your enemies. 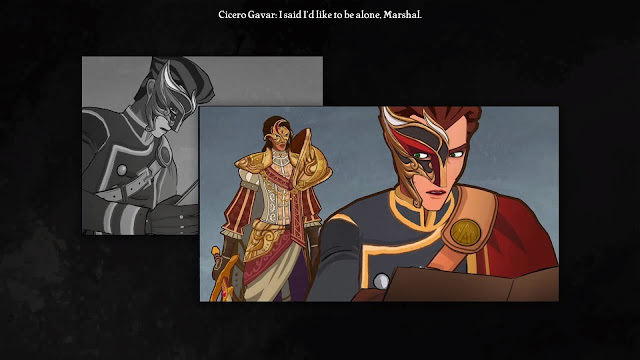 If the stylistic approach of Masquerada wasn’t enough, the voice acting is top notch with VAs such as Matt Mercer, Jennifer Hale, Robbie Daymond and a personal favorite Yuri Lowenthal (Full List). With the amount of dialog that is to be had, this cast brings about an experience that could not have been done otherwise having simply gone with text or a half voiced approach. I personally have a bad habit of simply reading ahead and skipping most of the time but these combinations had me taking the slow way and enjoying every moment of it. It is with these elements that everything comes together and the “empty” corridors can be forgotten because everything else is made more full through the unfolding experience. Also helping to alleviate this is the sheer amount of lore that is unlocked through characters speaking or through the odd node that can be found while exploring an area. Each entry is lengthy enough and helps develop both this world and Cicero’s past for a better understanding of what someone could have meant with the tone in their voice. Finally adding to it all is an optional tutorial that can be accessed from the main menu. Optional. Words I really like to see as often tutorials could be covered with no more than a few sentences. In Masquerada’s case however this tutorial should be done as it acts as a prelude to the main event and is often enough referenced. You don’t have to but it helps to have seen it alongside the journal entries to give a more complete experience. 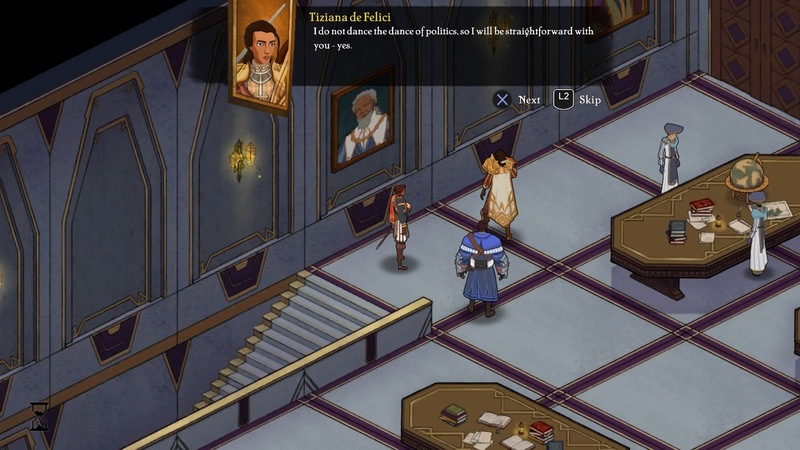 Masquerada: Songs and Shadows comes together to offer a wonderfully artistic experience. The visual art as well as the well crafted character dialog and their voice overs combine to create an experience that would have been less without the efforts put into each.